For a follower of Christ, every change you make—every new facet you add to your routine—must first be tested with these questions: Does this bring me closer to Jesus? Does it make me more like him? If the answer is yes, the change should be pursued. If the answer is no, the change should be reconsidered or abandoned. Here are four steps you can take to identify worthwhile changes to pursue in the coming year. • What does Jesus stand for? • What does he expect of his followers? • What does he stand against? • What did he do during his earthly ministry? • How did he treat people? Make a list of the answers you come up with. Hint: The more succinct your responses are (“Jesus expects his followers to love their enemies,” “Jesus opposes hypocrisy,” etc. ), the more useful they will be later. • Do I stand for what Jesus stood for? • Do I meet his expectations? • Do I oppose what Jesus opposed? • Do I follow Jesus’ example? • Do I treat people as he did? Be brutally honest with your assessment. The more evenhanded you are, the more potential you will have for taking life-changing action. Ask the Holy Spirit to give you wisdom as you evaluate yourself in light of Jesus’ example. Ask him to show you those areas that are most in need of alignment, as well as opportunities to become more Christ-like in your daily interactions and decision making. Choose one area in need of alignment, and create a workable plan for addressing it. For example, let’s say you decide some of your entertainment choices fall into the category of things Jesus opposes. Your plan might involve contacting some friends to explain your change of heart and brainstorming God-pleasing alternatives that bring you just as much enjoyment. 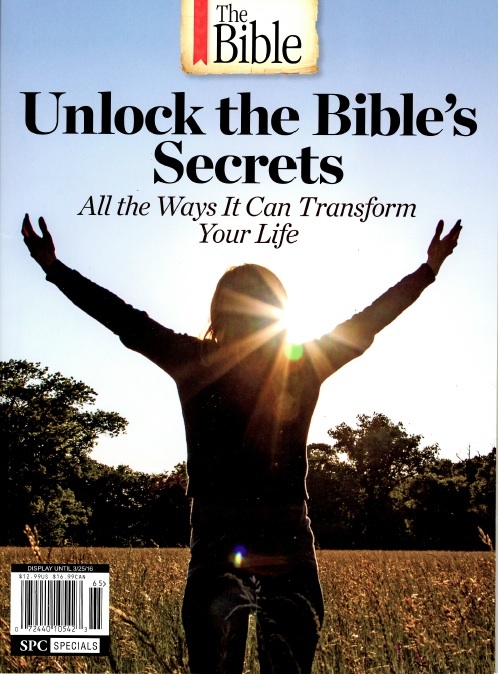 This blog post is adapted from the special-edition magazine, Unlock the Bible's Secrets, which is now available on store shelves. 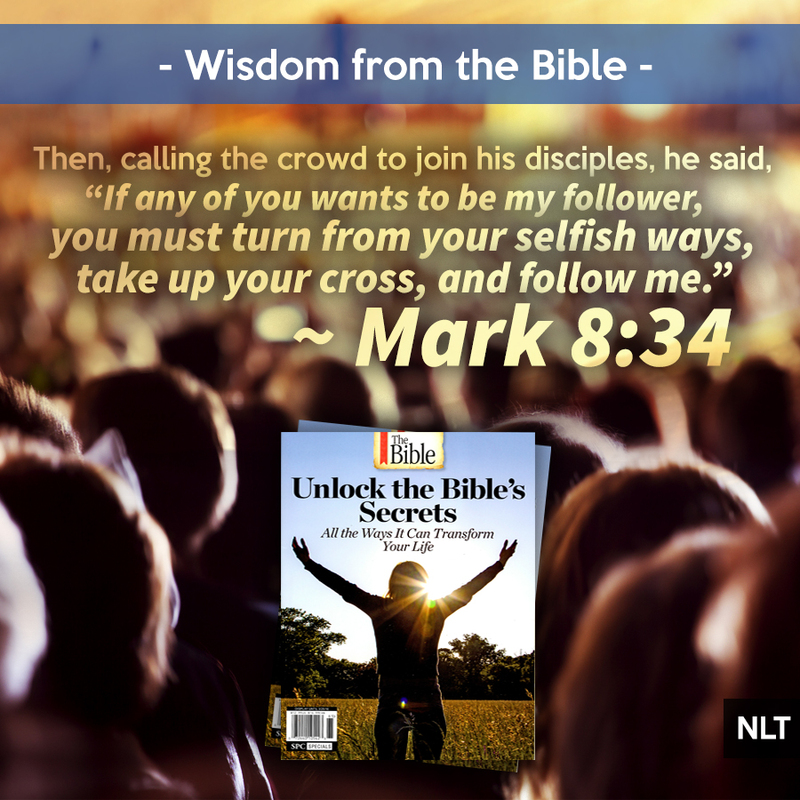 Blueprint Mark 8:34-35 the cost of following Christ Unlock the Bible's Secrets Who is Jesus?